Around the time I began courting Emily I had to make a decision – a big decision. No not “the big decision” rather, should I sign a contract with Sprint, Emily’s cellular provider, so I could save on minutes (granted, this was when cell phone minutes were higher in price). So I made the plunge. The service was better than AT&T and less expensive as well. I didn’t even use texting this was so long ago – we actually talked on the phone. I even gave a thankamony about how cellular phones helped me to connect more with my family since I was so far from Cleveland. On I went from around 2005 to 2009 with flip phones and no land-line- although I do miss the old rotary phone my grandma used to have (it had a cord too). I did finally give in to texting. It was cumbersome at first – but then I adjusted once t9 came out. It’s hard to imagine but now I have been averaging around 1,000 texts a month. On the eve of my birthday 2 yrs ago I went with Emily to the Sprint store to renew my contract and was interested in getting a blackberry type phone, but without the internet, I didn’t want to pay the premium. So I bought a “wantaberry” – Sanyo SPC- 2700– it looks like one but lacks the functionality. I learned to like it. The buttons were great for texting and it even predicted what I wanted to text. I also used the calendar for planning, so much so, that I said good-bye to my Franklin planner. But times have changed and I have been delayed in changing with them. Shoot - I still have a fat screen tv when everyone else has a flat-screen. And although life is possible without texting, gps-ing, and internet surfing on a phone I am happy to finally receive the benefits of a smart phone. 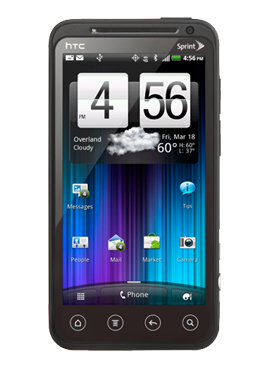 On my birthday I will be upgrading to the HTC EVO 3D. So long stupid phones, hello smart phone. I’m welcoming myself to the party! Liam turned 9 months old yesterday. I can't believe how fast my baby's growing up! It seems like just yesterday he was born. We can't imagine our life without him!